Numpy 1.5.1 is a bug-fix release with no new features compared to 1.5.0. On non-x86 platforms, Numpy can trigger a bug in the recent GCC compiler versions 4.5.0 and 4.5.1: http://gcc.gnu.org/bugzilla/show_bug.cgi?id=45967 We recommend not using these versions of GCC for compiling Numpy on these platforms. Of the following, #1605 is important for Cython modules. 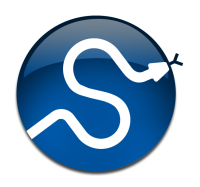 Scipy could not be built against Numpy 1.5.0 on OS X due to a numpy.distutils bug, #1399. This issue is fixed now. #1399: distutils: use C arch flags for Fortran compilation on OS X.